KARACHI: Ziauddin Hospital is not the only hospital enlisted on the panel of KDLB (Karachi Dock Labour Board) but there are many other hospitals too, with whom KDLB has agreements. However, the rates of Ziauddin Hospital are less than the other hospitals on the panel. The scrutiny of the bills is responsibility of a committee and there was nothing wrong found during the scrutiny. This was disclosed by prosecution witness (PW) Dr Muhammad Shoaib, Chief Medical Officer of KDLB during cross examination by defence counsel of Dr Asim Hussain, former petroleum minister and leader of Pakistan Peoples’ Party (PPP) in NAB reference No. 13/2016 before accountability court IV yesterday. Replying to the questions from defence counsel Amir Raza Naqvi, Dr Shoaib stated that in addition to the usual terms & conditions, Ziauddin Hospital provides training, education and other facilities to our staff members with lot of other welfare works. The witness informed that he had joined KDLB as medical officer in 1992 and he was promoted as Chief Medical Officer on 26-06-2015. He said that KDLB is a statutory body governed by Board of Directors and chaired by an Officer of Pakistan Navy. All the functions are performed by Board of KDLB, there is no member on Board from Ziauddin Hospital while there are members from private sector on the Board. Replying to further queries the witness explained that all the agreements are done in accordance with the decision of the Board. He said nobody from the Board or the Chairman was examined by the NAB authorities during its investigation. I am only implementing authority of decisions by the Board. In this matter nothing was contrary to the decisions of the Board, rather it was in line to the decisions made by the Board, Dr Muhammad Shoaib concluded. 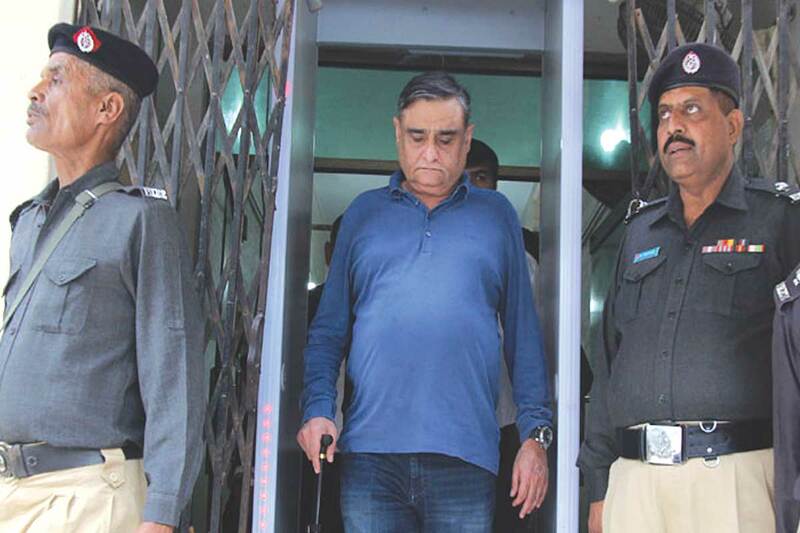 The other three prosecution witnesses (PWs) who were crossed on the occasion included Dr Asim Murtaza, Azhar Hussain Siddiqi and Makhdoom Muhammad Aslam. While the court fixed next date of hearing on 7 December. Azhar Hussain Siddiqi replying to the queries disclosed that he was a dispatch rider at TCP (Trading Corporation of Pakistan). He had just delivered the documents stated on record from his office to the NAB office. He was not aware of any correspondence between NAB and the TCP. He has no knowledge of the contents of any letter to NAB from TCP neither he knows about any discussion in this regard between NAB officials and the TCP staff. I am not custodian nor author or record holder of any documents nor did I sign on it. Hence, I cannot be witness on the contents of the case, he added.